The Freaky Friday Three have been promised membership to the Family if they complete a mission for the Duke: find Fed Hoyle, the Astromancer, in the prison of the Wickfields Guardhouse. Are Teddy, Wattick and Glitch up to the task? Or will their pie heist be over before their life of crime has even started? This episode, Glitch makes elaborate pastry plans, Teddy gets kobold-curious and Wattick enjoys his product with some clients. 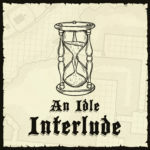 Listen to Idle Fantasy every #FantasyFreakyFriday on iTunes or any good podcasting place. 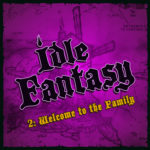 You can follow us on Twitter @IdleFantasyPod or email us at idlefantasypodcast@gmail.com. Copyright Idle Fantasy 2018. All rights reserved.